A neighbor of the man who went on a deadly shooting rampage at an Oregon college, killing nine people, said he "seemed really unfriendly." Bronte Hart lived below 26-year-old Chris Harper Mercer in the community of Winchester. She said Mercer would "sit by himself in the dark in the balcony with this little light." Hart said a woman she believed to be Mercer's mother also lived upstairs and was "crying her eyes out" Thursday night. 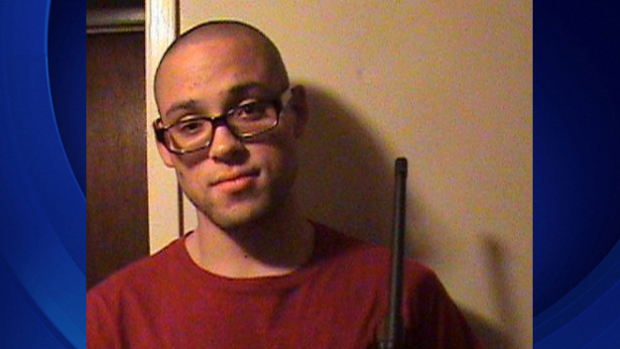 Two law enforcement sources told CBS News Mercer was the man who opened fire at Umpqua Community College, killing nine people and wounding seven others. He died after exchanging gunfire with responding officers. The suspect allegedly left a note behind and investigators have it, CBS News has learned. Law enforcement sources say it is several pages long and in it, the 26-year-old made statements suggesting that he may have been depressed and angry. Sources told CBS News' Senior Investigative Producer Pat Milton the multi-page typed note was a philosophical rant of someone who was mad at the world. The source said the note was focused a great deal on the suspect's low opinion of himself. Milton reports that throughout the writings, the suspect obsesses about himself and his place in the world, which he apparently did not think was very good. Mercer had also apparently taken a creativity or writing course at Umpqua Community College. There is no indication that the suspect was affiliated with any group. And his motive is still unclear. Law enforcement sources also told CBS News four guns -- three pistol and a rifle -- were found at the scene of the shooting. CBS News correspondent Jeff Pegues reports that one of the handguns - a Taurus .40 caliber pistol - was traced to someone else in Oregon and investigators were trying to determine how Mercer obtained it. A review of Army records indicate that Mercer was in service at Fort Jackson, S.C, from November 5 until December 11, 2008 but was discharged for failing to meet the minimum administrative standards to serve in the U.S. Army. Mercer also had a bullet proof vest and extra ammunition with him, reports CBS News senior investigative producer Pat Milton. It's unclear if he was actually wearing the body armor when he was shot. CBS Los Angeles reported Mercer had ties to the Los Angeles-area communities of Torrance and Tarzana. Mercer's stepsister told the station he was born in England and traveled to the United States as a young boy. She said Mercer's father, who lives in Tarzana, married her mom and that the last time she spoke with Mercer was a year ago. In Torrance, neighbors told CBS Los Angeles that Mercer lived there a few years ago and kept mostly to himself. Posts on an online blog that appears to belong to Mercer reference multiple shootings, including one in Virginia in August that left a television news reporter and cameraman dead. The last upload on the blog was Wednesday. when a documentary about the Newtown shooting was posted. In one post on the blog about Vester Flanagan, the man who killed the reporter and cameraman in Virginia, Mercer apparently wrote, "I have noticed that so many people like [Flanagan] are alone and unknown, yet when they spill a little blood, the whole world knows who they are. A man who was known by no one, is now known by everyone. His face splashed across every screen, his name across the lips of every person on the planet, all in the course of one day. Seems like the more people you kill, the more you're in the limelight." An online dating profile that appears to belong to Mercer lists his hobbies and interests as "Internet, killing zombies, movies, music, reading." Under ethnicity, it says "mixed race" and his relationship status says "single -- never married." The profile also says he is currently in college and lives with his parents, is a Republican and not religious. It also says he doesn't smoke, drink or do drugs. One of the groups on the site that he belongs to is called "Doesn't Like Organized Religion." A witness to the shooting, Kortney Moore, told the Roseburg News-Review newspaper that she was in a writing class when a shot came through a window. She said the gunman entered her classroom, told people to get on the ground and then asked people to stand up and state their religion before opening fire.